The Paranormal MD, Mary Marshall does investigate other types of phenomenon besides ghosts and haunting type. Mary Marshall the founder of The Paranormal MD works with various investigators and/or researchers on cryptid, alien, time loss, UFO or other type cases. She chooses to work with individuals who are at the top in their field and may or may not be part of another paranormal group. Mary also works in conjunction and consults those that are considered professionals in their field of work, for instance those who are educated and knowledgeable about Shamanism, wicca, Native American culture, cultural anthropologists,scientists, exorcist, and so forth. Mary firmly believes just because she or whoever is with her investigating at that particular time doesn't have an answer doesn't mean that there isn't one. She will exhaust all possible sources to find an answer, and whatever the end result of that extensive research, reasonable or not, is the answer. I originally began working a case at the Kettle with Jay Bachochin of WPI Hunts the Truth. Although Jay and I each have our own individual paranormal organizations, we chose for an extended perioid of time to combine forces and work together on a particular on-going case in southeast WI. 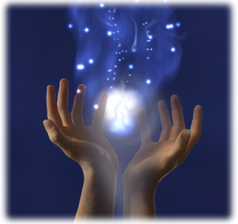 I did extensive research into several types of phenomena that is occurring. Jay focused 0n his search for Bigfoot. 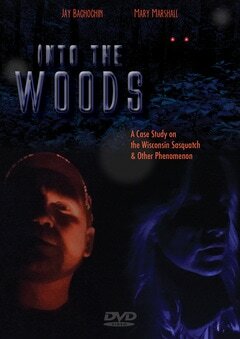 While I focused on all the other anomalies occuring out at the reserach area in the Kettle Moraine. My first experience out in the woods was witnessing the most atounding light anomalies I have ever seen. Nothing like I or anyone else I know has ever experienced. After walking away from the light show while it was still going on, the next experience was to follow. The sounds of something or someone loudly coming up behind us on the path. I turned around expecting to see a predator animal of some sort. However on this night hike which was brightly lit up by a Super Blood Moon (meaning it was so light out one could read a book if they wanted to), I turned around expecting to see a large animal, but nothing was there to see. Jay also heard a guttural grunt type noise. So needless to say despite being skeptical about finding or even believing in the existence of Bigfoot at this point in time, I was hooked. For the next year, Jay and I stepped up our game and I did extensive research and experiments to try and find out who or what exactly is going on at the Kettle. I looked into the geological makeup of the area, and that research that took me to places I did't expect to be. There is varying types of activity involved in this case besides cryptids and light anomalies that includes: ghost like activity, UFO, time loss, and yet to be catgoriezed, bizarre phenomenon. Mary and Jay each have their own individual paranormal organizations, but have chose in the past to combine forces, and work together for a year plus on a this particular out into the woods case. Since then Mary and Jay are continuing their search for the truth, but are working separately in hopes that doubling their effort separate from each other will help them cover more ground and gain more knowledge. This case is still on-going. ​Cryptozoology is the study of creatures whose existence has yet to be—or else cannot entirely be—proved or disproved by science. These creatures, known collectively as cryptids, include examples like the Loch Ness Monster, Bigfoot, and the Himalayan Yeti, yet these famous cases are by no means the only ones on record. As much as time will allow for, Mary is actively invloved with MUFON, the Mutual UFO Network ​, in addition to her other paranormal and Cryptid work. Mary Marshall is the director of a local chapter of Psychics Unite that is located in Northwest Illinois.